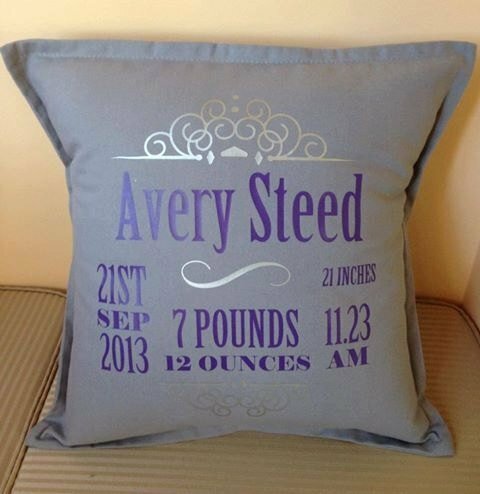 Welcoming a new baby girl? 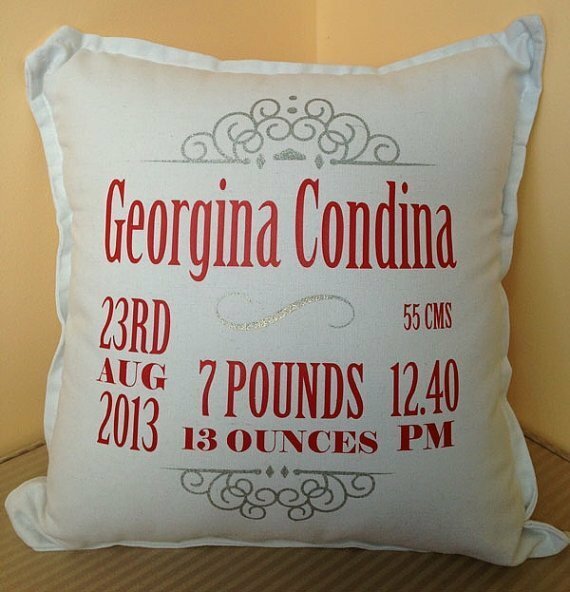 These personalised birth announcement pillows are a fantastic baby gift for any new bub. 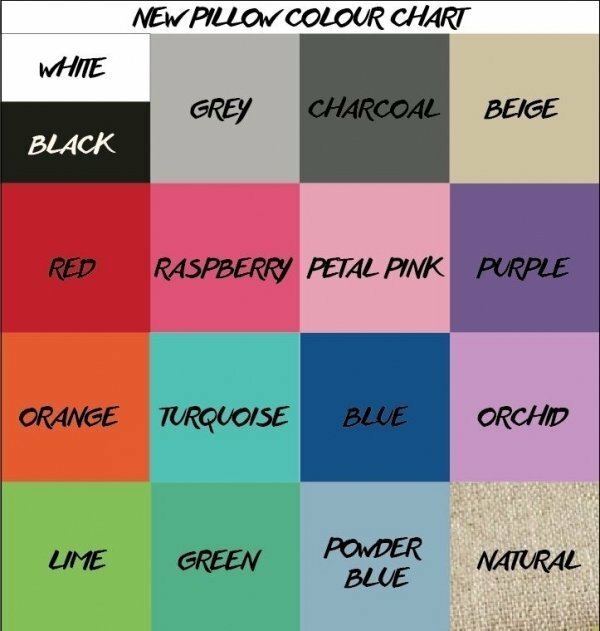 These pillows come in a range of colours, please see colour charts for details. 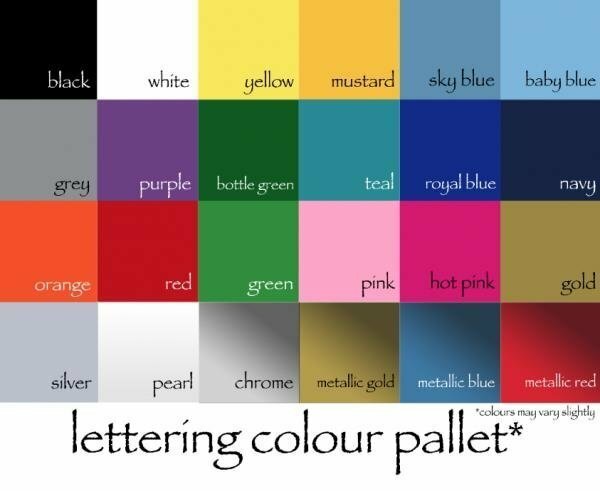 Please choose your cushion colour and text colour above, and enter in required information. 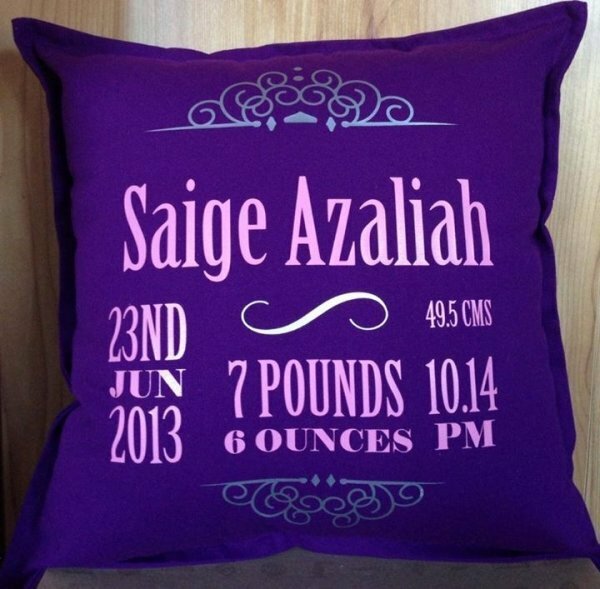 Baby's first and middle names. 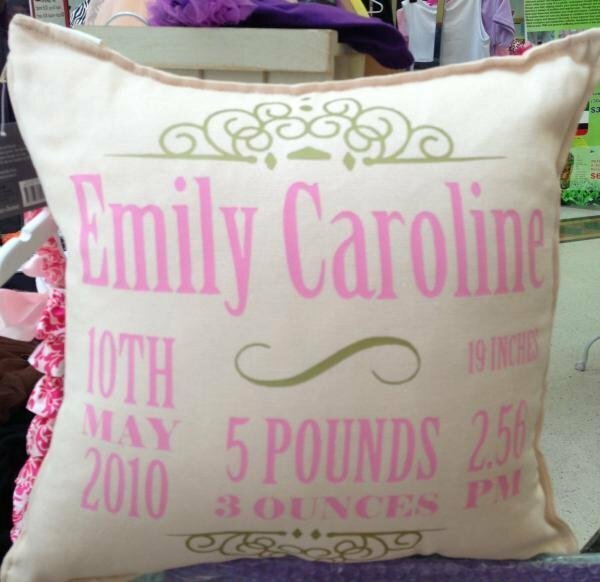 Size: 42 cm x 42 cm, cushion insert included. 100% machine washable. Note: The cushion insert will not be sent, only the cover.